An agricultural project, run by a group of people living with hearing impairment, is creating jobs for the deaf community in Rand West City Local Municipality. 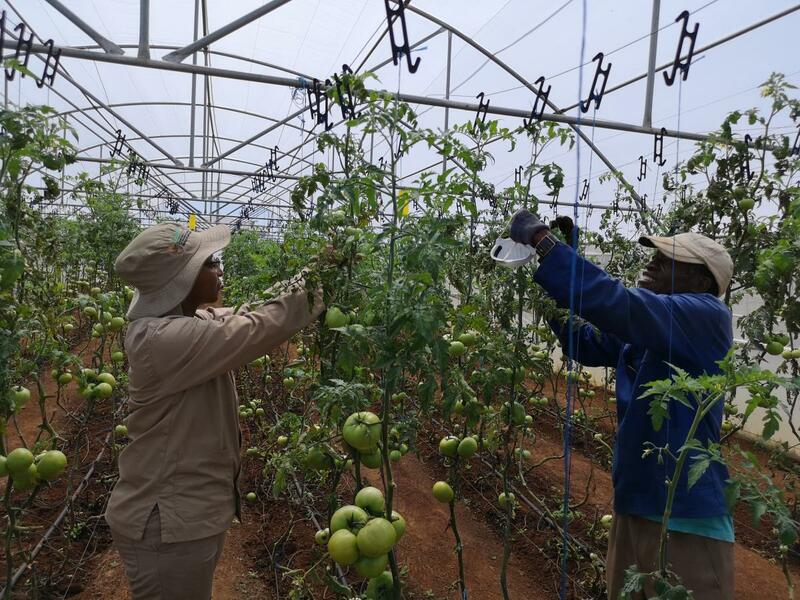 The Voice Out Deaf Cooperative is one of the five cooperatives found in the Rand West Agri-park, which is one of the agri-parks that have been in full operation for more than two years. Matebogo Victoria, a member of Voice Out Deaf Cooperative said the aim of the cooperative is to create jobs and employment opportunities for the deaf community. But overall, she said, the objective of the project is in line with the government agricultural policy of increasing food production and attaining sustainable food security and subsequent poverty reduction. So far, Voice Out Deaf Cooperative has managed to create about seven jobs. The cooperative produces tomatoes, green pepper, lettuce and spinach. “The popular vegetables will become available throughout the year at affordable prices,” she said. Victoria said there were many advantages of using the state-of-the-art agricultural facility to grow vegetables. This includes irrigation facilities, effective time for production, modern machinery like tractors that are used up in farming to make ploughing and harvesting faster, and it helps to yield high-quantity of crops. The cooperative sells its products to the local fruit and veg market, street vendors and local residents. Victoria said when the cooperative started two years ago it was difficult to access the market. “Access to market is no longer a problem. Instead, we have more market than what we produce,” she said. However, she acknowledged that it is generally difficult for people living with hearing impairment to do business as many customers struggle to communicate with them. “Compared to people who are hearing, the deaf population faces notable challenges in finding jobs as well,” she added. She said the cooperative plans to improve the quality of food produced in South Africa in future, and to offer horticultural training for farmers in the Rand West.